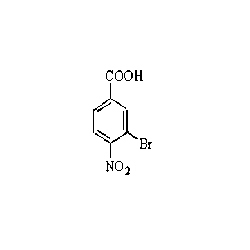 With the help of our expert workforce, we are engaged in manufacturing and exporting 3-Bromo-4-nitrobenzoic Acid. Our range is formulated using superior grade raw material, and is in compliance with international quality standards. Furthermore, it can also be processed as per the specifications given by our clients.